What it looks like to be a Successful Mother. I started motherhood feeling like a little girl pretending to be a mother. I had never worked full time, never supported myself. I had never held an infant or changed a diaper. Then there I was, with what is arguably the hardest job in the world. Serious pressure. All I could see was my expectation of who I would be as a parent, and the huge gap between that and who I actually was. I was scared sh*tless. I went through my pregnancy with serious anxiety, and my transition to motherhood was no less difficult. It was, by far, the steepest learning curve of my life. I was simply terrified. It’s hard to feel loving and connected when you’re that scared. 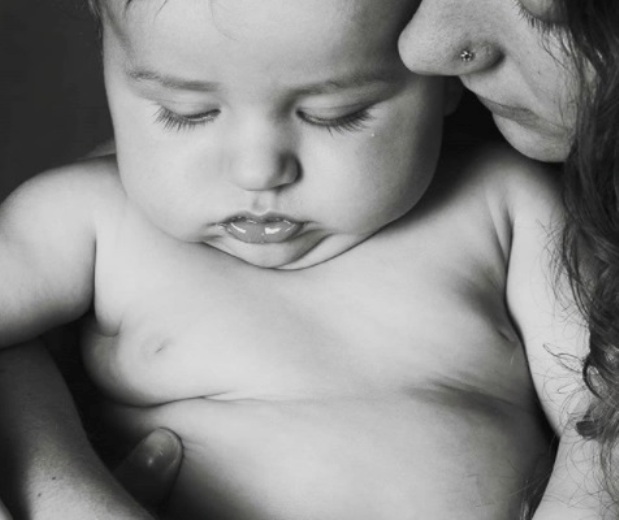 And now that time has passed, lessons have been learned, and my son and I are more connected than ever (most of the time), I can look back and forgive myself for not being there—in my heart—for my infant boy. Inside, my stomach turned at my hypocrisy. Here I was with my newborn son, and no, I didn’t feel “so in love.” I felt terrified; I felt resentful of my responsibility and the world that had prepared me so poorly for it. I felt alone, helpless, and full of guilt. Sure, on the outside I still did the things I thought were important. I practiced labor meditations pre-birth. I had a beautiful, perfect home delivery with a birth tub, midwife, and my doula best friend (now a midwife herself). I breastfed. I wore him. I did skin-to-skin contact. I—regrettably in some instances—followed the protocols of attachment parenting to a tee. I omitted refined carbohydrates from his diet for the first year of his life and didn’t use harsh soaps on his sensitive skin. It still, to this day, takes effort. Not an effort of striving and reaching toward my image of what a perfect mother—or a perfect person—should be, but the altogether more subtle and more unfathomable effort of surrender. What did it for me? It’s difficult to pinpoint. That said, I attribute my accidental career as a preschool teacher as a huge catalyst. Nothing helped pull me out of depression more than smiling, hugging, and playing with toddlers all day—even if some days, the smiles were forced. But that forced engagement allowed me—required me—to come out of myself, out of the constant monologue of my harsh inner critic and into the real moment-to-moment world of play. It made me childlike, in the best sense of the word, and that reawakening of my playful, carefree self was exactly the “me” my son had been looking for all along. And, incidentally, so had I.
I’m not saying I’m like this every day. And now that I’m working in a different field, a fast-paced one that is very adult and much more intellectual, it’s more challenging to come home and meet my son in that playful place. But the weekend comes around and he’s there waiting for me, ready to bake cookies, help me turn the laundry basket into a dump truck, plant seedlings on our sunny balcony, and be my “coach” when I exercise, substituting his own little body for my weights. If he can grow up and know me as a real person—my flaws and vulnerabilities, as well as my strengths, passions, and gifts—and in turn come to know and love himself as a real person, then I can say I succeeded as a mother. I’m Not the Mom I Thought I’d Be. Why Some Parents & their Children have Great Friendships. A millennial mama with an adventurous spirit, Crystal Hoshaw recently returned to the states from another life in Thailand with her little boy. 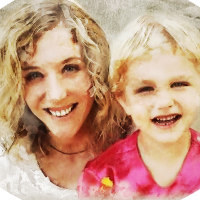 She writes about her trials and triumphs as a single mother and a human attempting to live an authentic life. You can read more about Crystal and her whip-smart Tasmanian devil as they cook, craft, meditate, and laugh their way through life’s ups and downs at her website.